Steve Jobs è morto. Addio ad uno dei pionieri dell'era informatica. Era da tempo malato di tumore e da poco aveva affidato le redini della Apple a Tim Cook. I want to express my deepest condolences at the passing of Steve Jobs, one of the founders of our industry and a true visionary. 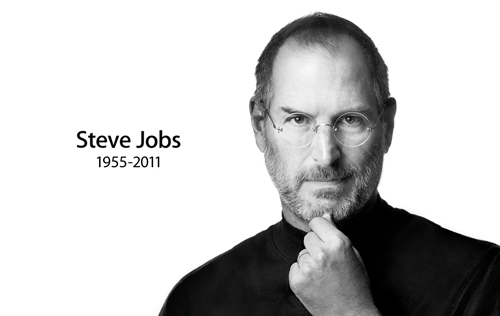 My heart goes out to his family, everyone at Apple and everyone who has been touched by his work. I am very, very sad to hear the news about Steve. He was a great man with incredible achievements and amazing brilliance. He always seemed to be able to say in very few words what you actually should have been thinking before you thought it. His focus on the user experience above all else has always been an inspiration to me. He was very kind to reach out to me as I became CEO of Google and spend time offering his advice and knowledge even though he was not at all well. My thoughts and Google’s are with his family and the whole Apple family.